The Ivanhoe Peach label is a 4-color process wrap-around label. It features a digital posterized illustration of an old pickup truck rolling through peach orchards hauling a big, fat peach in the bed. 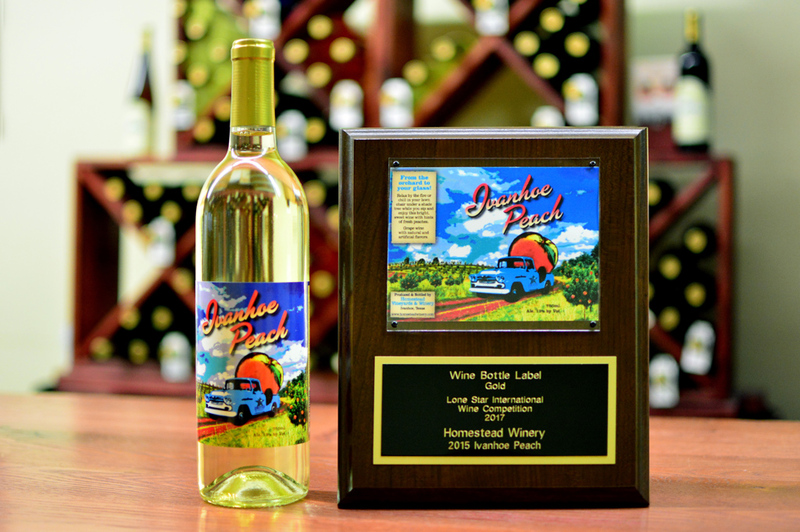 The label design won a gold metal in the 2017 Lone Star International Wine Competition, one of two golds we received for label design!